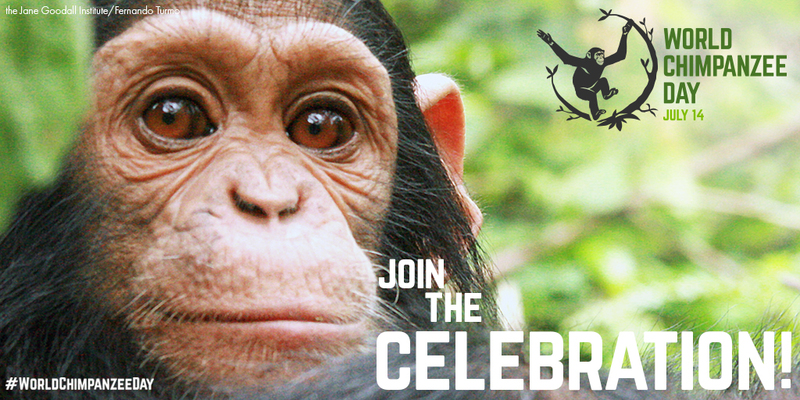 A special day to help Chimps! AAVS is excited to join in celebrating the very first World Chimpanzee Day! It’s the perfect opportunity to raise awareness about the threats chimps face, and it’s a reminder that chimpanzees are still in labs waiting to be moved to Chimp Haven, The National Chimpanzee Sanctuary. The National Institutes of Health (NIH) officially ended invasive research on all government owned and supported chimpanzees in 2015. However, getting them to sanctuary has been fraught with delays and they’re running out of time! One big problem that has persisted is resistance from the lab facilities where the chimps are currently located. They don’t seem to understand sanctuaries, which have a mission completely dedicated to animal well-being—not just medical care, but social connections and natural environments. In short, sanctuaries allow for the full experience of being a chimpanzee. Every chimpanzee deserves a sanctuary home! Sanctuaries make miracles. We recently heard this story from the wonderful sanctuary, Save the Chimps, about one of their most beloved chimpanzee residents, Henrietta. ‘Henri’ was found in the section of a lab in New Mexico called “the dungeon,” seeming elderly and frail. Henri spent many years in barren cages, so it’s not surprising that she did not appear very healthy, but after moving to sanctuary, she enjoyed 14 years of a full life. Shouldn’t every chimpanzee be given the same chance as Henrietta? Most NIH-owned chimpanzees know nothing else but life in a lab. They deserve to have a chance for a new and full sanctuary life at Chimp Haven. Tell NIH to move all retired chimpanzees to Chimp Haven.